The farm said it was ‘committed to farming in harmony with nature and improving the number and variety of species living in and around the farm’. 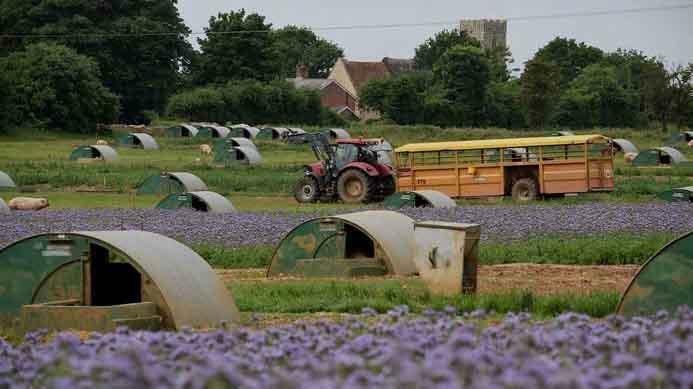 Two Suffolk farming brothers have made plans to feed one million bumblebees this year. 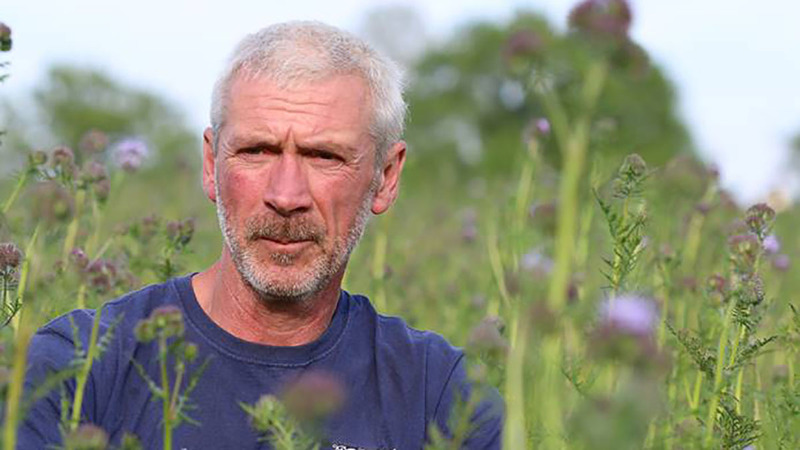 Third generation pig farmers Mark and Paul Hayward have planted 33-hectares (81.5-acres) of nectar rich plants around their Dingley Dell Pork site and arable land including Phacelia, Clover and Mallow, planted in blocks between the pig arcs and in the fields. According to the brothers, a trial last year showed up to 12 bumblebees feeding in each square metre of the wild flowers. The farm’s philosophy said it was ‘committed to farming in harmony with nature and improving the number and variety of species living in and around the farm’. Paul Hayward standing in the bee mix. “Modern life has pushed nature to the fringes,” Paul Hayward said. “Farmers can help restore this balance starting with a diversity of plants. Martin Blackwell, managing director of Essex based catering butchers Direct Meats who the duo have teamed up with, said it was a privilege to be involved in helping shape the way the pork was produced. “We must protect and enhance our bumblebees and native species,” he said. The project comes following a drop in UK bumblebee populations which the Bumblebee Conservation Trust said had fallen by 70 per cent. Two species have also become extinct in the last century. But the scheme is hoping to reverse the trend and has already had backing from Compassion in World Farming, with chief executive Philip Lymbery championing what he called an ‘incredible aim’ and applauding the project’s enthusiasm and commitment to animal welfare and the environment. May 20 is World Bee Day. Progress by the Hayward brothers is being audited by the Farming and Wildlife Advisory Group can be followed on Instagram @amillionbeesonfarm.